There are only a few weeks left until the holidays are officially upon us. For couples who want to get engaged during the festive season, this is also the ideal time to start planning out your ring design…because time is ticking away! And what better way to celebrate a holiday engagement than with a holiday-themed ring! You think we’ve been drinking too much eggnog? Think again—although that eggnog is so good! 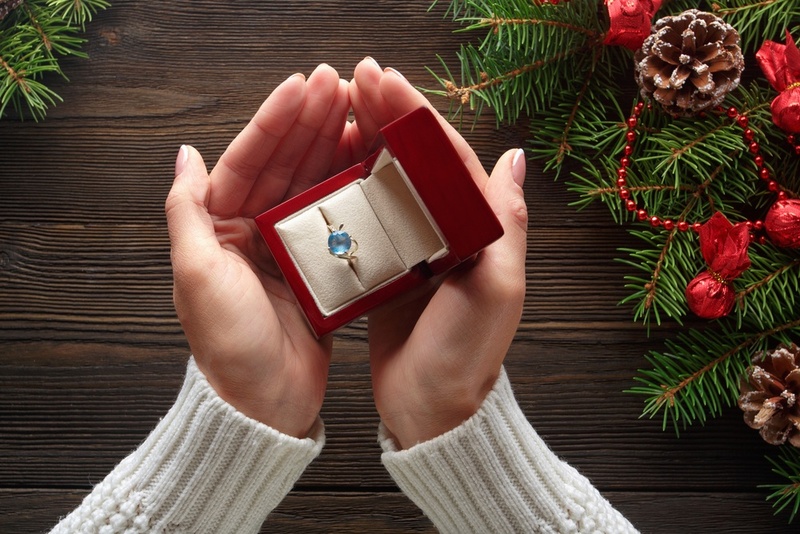 It’s time for the most amazing—and insane!—Christmas and holiday themed engagement rings. Some of them are incredibly beautiful, and some of them are just plain crazy (but we still love them!). Now grab a glass of eggnog and as we present seven rings that embrace the festivity of the season! 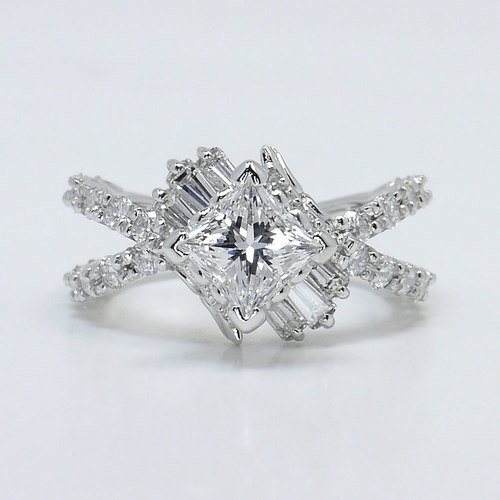 Diamonds are the ideal stone to create an amazing and one-of-a-kind Christmas snowflake engagement ring design. What we love about creating a snowflake design is that you don’t have to use large diamonds…although you can if the budget allows! 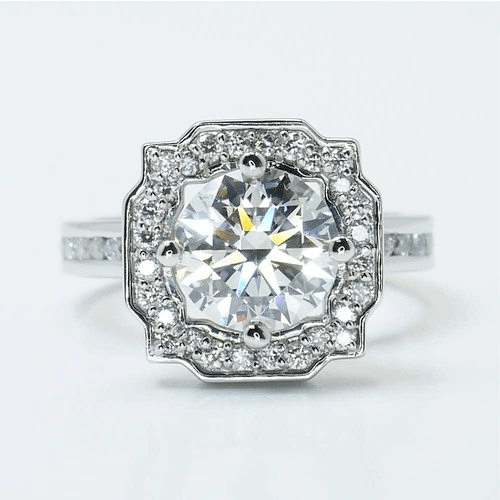 Smaller diamonds can keep the ring budget friendly, but the design is still a stunning and impressive engagement ring! For this themed ring, your band should be an icy white metal such as white gold, platinum, or palladium. For a toned-down nod to the holiday, use emeralds or rubies as accent stones in a diamond engagement ring. When paired with a warm yellow gold band, these two gemstones don’t scream “Christmas!” but still serve as a constant reminder of your romantic Christmas memory. Emeralds and rubies are rarely paired together, but if you want a ring that truly embodies the colors of Christmas, design you own! 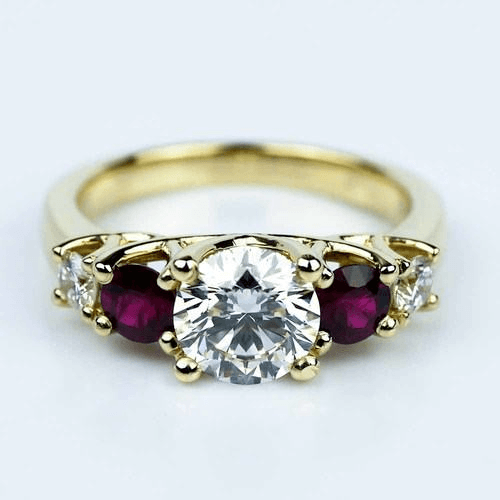 Create a halo around your diamond featuring alternating rubies and diamonds, or go with a dazzling double-halo. You can even surround a a ruby center stone with an emerald halo, or create a unique cluster of the two gems. The possibilities are endless! As the traditional colors of Christmas, red and green are used interchangeably all over the house: from presents and placemats, to candles and sweaters. But green has one special place that can’t be replaced: the Christmas tree! For full-on holiday magic, create an engagement ring inspired by a tree, a wreath, or boughs of holly. Emerald leaves celebrate the Christmas season, but also speak to seasons to come—from spring to summer, back to winter, and so on—for all the countless years you’ll spend together. 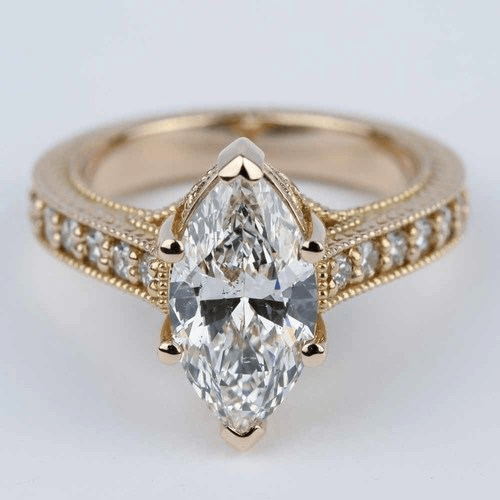 Create a candle-shaped engagement ring with an elongated diamond shape like a marquise cut or a thin pear-cut diamond. Capture the beauty of a flame with a fancy yellow diamond. Use any or all of these style tips to create a beautiful Christmas Candle-themed engagement ring that speaks to you and your significant other. 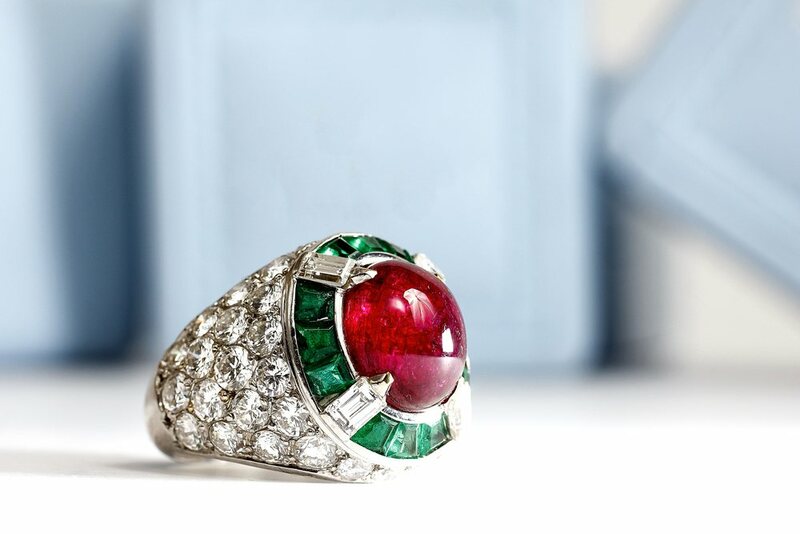 Celebrate the spirit of Christmas with a unique ring that captures the star that guided the Three Wise Men and shepherds to the manger. 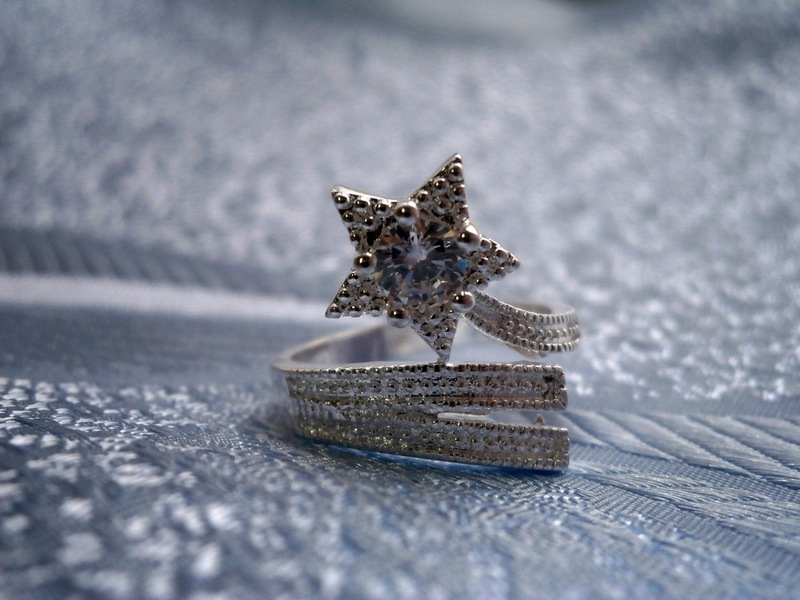 Create a ring with an amazing star design and sparkling diamonds, or personalize it with your birthstones! 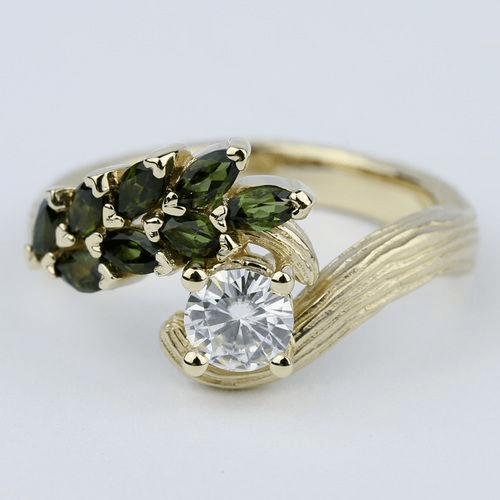 Perfect for fashion-forward women who would love the “stacked” ring trend, this Christmas engagement ring idea pulls inspiration from day five of the famous “Twelve Days from Christmas” song: five gold rings! Combine five thin bands underneath a solitaire diamond to create one beautiful engagement ring. You can stick to the song and go with traditional gold, or update your ring to a contemporary white gold or platinum. 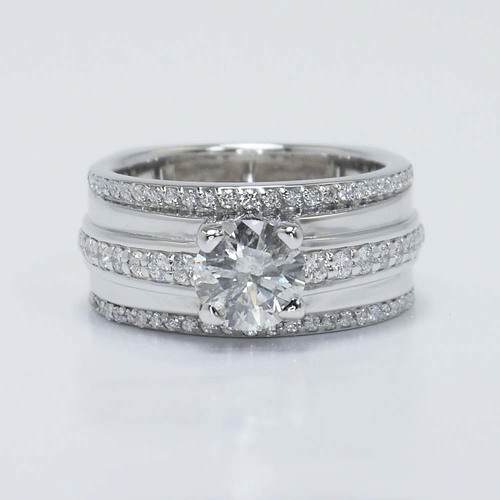 Mix carat sizes, plain and eternity bands, etc.—whatever you think your bride-to-be will love best. For dramatic effect, propose five days before Christmas! If you plan to propose with a Christmas-themed engagement ring, it’s time to start creating your design. Custom designs take time, and proposing with a Christmas-themed ring after Christmas…well that’s just asking for an answer of Bah-Humbug!